I continue to love wheeling and dealing in holiday inflatables. As mentioned in past blogs, while it can be risky business, the rewards can overcome the risks. This Gemmy Santa igloo inflatable is an example. I bought it on Facebook waaaay back in the summer for twelve dollars. It was brand new in the box. You just can't lose when buying a new inflatable-no worries about leaks or the material being stained or dirty. My Ebay research determined that "Santa stuck in the igloo" inflatables are a big deal with many a Clark Griswold out there. Knowing I had a winner on my hands, I posted the igloo on eBay at a "Buy It Now" price of $100 dollars. (Buyer paid shipping.) It was snapped up within days! At an eighty dollar profit, I was off to a pretty good start for the season! Christmas season is also the time to sell holiday blow molds! I scored a major find back in the summer when I rolled up to a garage sale and found this huge Nativity scene. This set was hard to miss. The wise men alone stood over four feet tall! With the seller asking just twenty dollars for the entire set, it was a no-brainer. After peeling off a twenty for the seller, I carefully piled the individual figures in the back of my truck. (Baby Jesus, Mary and Joseph, of course, rode up front with me.) Once I got the set home, I stacked the figures in my garage attic. With only about five feet of clearance in the garage attic, the collection easily reached the rafters. But at least they were out of the way until the holiday selling season. 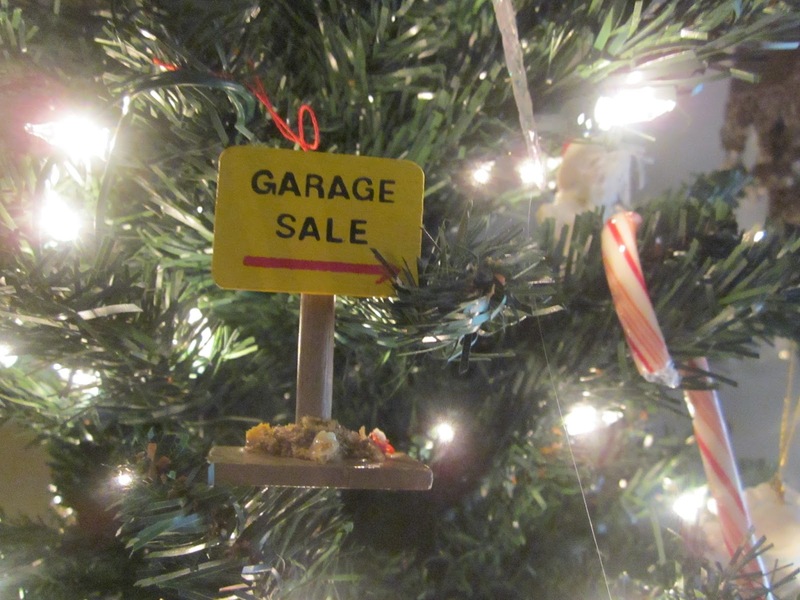 A few days after Thanksgiving, I posted the Nativity scene on Craigslist. The weekend right after Thanksgiving is always the ideal time to post blowmolds or inflatables. That's when folks like to get their decorations up on the house before cold weather sets in. That's what happened with my Nativity scene. After posting it, a buyer looking to decorate the outside of his house showed up to buy the set. After some give and take, we agreed on $175 dollars for the Nativity scene. He also bought two blowmold toy soldiers and two Noel candles from me for an additional $30. (I paid a dollar a piece at a summer garage sale.) To say the buyer was happy with his huge blowmold purchase would be an understatement. He couldn't wait to get everything home and plugged in. He even gave me his address, inviting me to drive by his house to check out the display. I told him I would, and as he pulled away, I counted out out a total of $205 cash from the sales. After backing out my $24 dollar investment, I turned a profit of $181 big ones on the entire collection. Oh well, can't win em all! But not all my sales went as well as my blowmold flips. Case in point-this Mr. Christmas, "Santa's Tree Trimmers" mechanical piece. I bought this at Saint Vincent DePaul Thrift Store hoping to re-sell it for $50 to $75 dollars. Before buying it, I did my due diligence and plugged it in at the store to make sure it worked. It did, so I handed over $25 dollars for what I hoped was going to be another awesome Mr. Christmas flip. Based on my past experience, Mr. Christmas pieces can be a big moneymaker...that is, if they work. Hoping to impress Mrs. Dude with my latest find, I got home and plugged Santa's Helpers into an electrical outlet to demonstrate how it worked. When I did, Santa and his elves began moving back and forth. That was, until they didn't. After just a few minutes of running, the figures froze up! Apparently, Santa and his elves decided to go on strike! An hour of tinkering later, I finally gave up on trying to fix the thing and moved to a backup plan. I cannibalized the piece, stripping off the tiny light bulbs and plastic colored candle bulbs for resale on eBay. While I didn't make the big money I was hoping to, I did sell the salvaged parts for $40 dollars, thereby recouping my original investment and then some. Not huge money, but better then taking a loss. If you've been following the news, you may have seen the stories about the shortage of Star Shower Laser Lights. 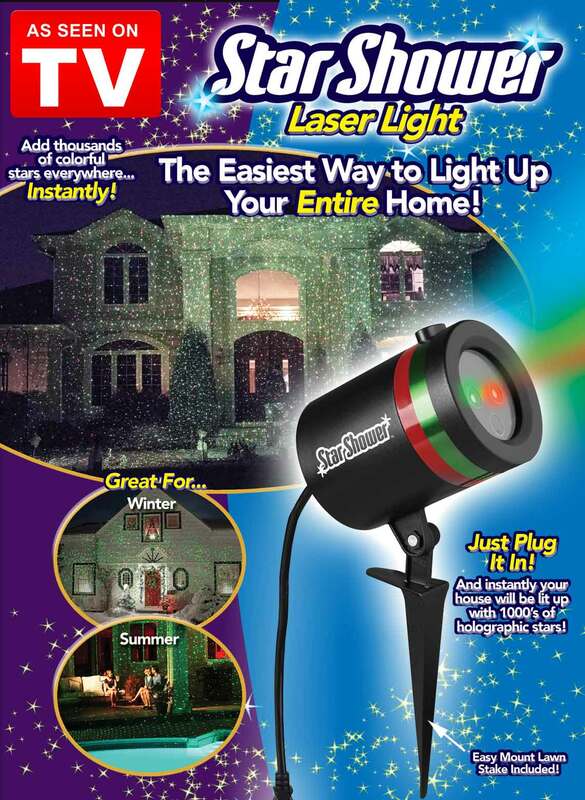 The Laser Light projects thousands of festive green and red laser dots on your house. Mrs. Dude bought two at Walmart for forty dollars a piece for use on our home. I think they're great. A lot easier then risking life and limb hanging icicle lights up on the house. However, after setting one of the Laser Lights up, I decided there was no reason to use the second light. One Laser Light lit up the house just fine. But did we return the second light to Walmart for a forty dollar refund? Heck no! By the beginning of December, there was a shortage of Laser lights. In fact, they were in such high demand and short supply, that Grinchs' were swiping them from people's front yards! Recognizing a great eBay selling opportunity, we posted our second Laser light on eBay for a BIN price of $95. It sold within a day! (Buyer even paid shipping) If only we had a crystal ball back when we originally purchased the two at Walmart. There were at least a hundred Laser Lights stacked on the end cap aisle. Oh well, who knew, right? Guess we'll be happy with our $45 profit. Those are just a few examples of my holiday sales. How's your sales going this Christmas season? I hope you're doing gangbusters and making nice money for you and your family. Share some of your Christmas flips with everyone in the comment section. I'll have more stories and tips on what to buy and what to flip in the coming New Year. Until then, I want to wish all of the friends and followers of MoneyintheGarage, a Merry Christmas and a Happy New Year...... Dude! Fall yard sales...It ain't over until it's over! The yard sale season is winding down. With each passing Saturday, there are fewer and fewer sales being held. But as the late, great Yogi Berra once said, "It ain't over til it's over!" In past years, I've scored some of my best deals right at the tail end of the season. Unfortunately, this past Saturday was not one of them. There were only four garage sales which produced only one find-an Army tank model for three dollars. I hope to be able to flip it for $25 or more. Not earthshaking, but better then coming home empty handed. In the meantime, I'll keep plugging away until the sales dry up completely. How much? You're kidding, right? Even though the yard sales have dropped off, I've still managed to come up with some pretty decent finds. Take for example the contraption seen in this photo. This thing is a canoe cart and is used to transport a canoe or kayak down to the water. You plop one end of the canoe on the cart, then pull it along. While it may not look like much, a good quality canoe cart can sell for over a hundred dollars! Can you believe that? It's basically just a couple of steel tubes and little rubber tires! How I acquired the cart is a funny story. The seller was one of those annoying types who felt compelled to make a loud sale pitch to every person who walked up his driveway. You probably know the type. You just want to say to them, "Shut up and let me look around please!" In my case, I hadn't even started looking when he shouted at me, "Make me an offer on anything, I am practically giving stuff away!" Hearing this, I figured I'd test him to see if he really was "giving stuff away" or just blowing smoke. I pointed to the expensive canoe cart and said to him, "Take two bucks for that?" He looked at me with a dazed and confused face. Staring at his one hundred dollar canoe cart, he processed my low ball price for a moment. Finally, after realizing I had just called his bluff, he mumbled a weak,"Okay." With that, I handed over two wrinkled one dollars bills and walked off with the canoe cart. I don't feel bad for the seller. After all, if you're gonna talk the talk, you gotta walk the walk! After scoring such a sweet deal, it was now time to make some fast money on the cart. People are not looking for canoe carts once the weather turns cold. It was either sell it quick, or be stuck with the cart until next spring. It turns out there was no need to sweat it. Within days of posting it on Craigslist, a young outdoorsy type couple showed up to buy the cart. When they did, you can bet this Dude didn't act like the previous seller and shout at them, "Make me an offer!" Why should I? The happy couple had no problem paying my asking price of $75 dollars! Moving on, here's a cool find discovered at Goodwill. This little piece of tech equipment is called a Polaroid PoGo. The Polaroid PoGo acts as a portable printer for a digital camera. It hooks up to the camera and can immediately convert a digital image into a hard copy photograph. Pretty high tech stuff and I was lucky to have even found it. Apparently one of the employees must have mistaken it for a toy, because the box was tossed on a shelf with dolls, puzzles and games. The little gadget was brand new with the printer, wires and manual all factory packaged. Doing a quick eBay check on my phone, I discovered Pogos sell well on eBay. Goodwill priced it at three bucks. Who can argue with that? I brought it back to Moneyinthegarage headquarters and immediately posted the Polaroid Pogo on an eBay auction. Seven days later, the Pogo sold for fifty three dollars. 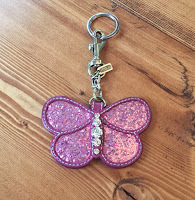 A nice profit for something that had been mistakenly tossed into the toy section! Santa kicked off my holiday sales in a BIG way! Lastly, to get everyone in the Christmas mood, I'll leave you with a "jolly" score. Check out this humongous inflatable Santa I bought at a garage sale for five bucks! This guy was huge, standing well over 12 feet high when inflated. As I've pointed out in past blogs, buying any kind of yard inflatable is a roll of the dice. I've been burnt once or twice by sellers who swear their inflatable actually inflated, only to find out later that they're flatter then the Hindenburg! But despite the risks, if they're priced right, it's hard for me to resist buying them. You're probably thinking, "Dude, why not plug it in and test it before buying?" Well, sometimes I do....but mostly I don't. I guess it's the gambler in me! In the case of this gigantic Santa, the big guy did actually inflate. However, I did discover he had a broken base leg. But much like MacGyver, I was able to repair him with some wire and electrical tape. Once the repair was made, I took a slew of photos of my giant Santa and posted him on Craigslist. For full disclosure purposes, I also included a photo and description of my repair. About a week later, I was in the parking lot of a nearby store meeting an eager buyer for Santa. She couldn't have been happier to pay fifty big ones for the big guy! Not a bad beginning to the holiday selling season! When it comes to taking up space, you can't get much bigger then gym lockers, right? I bought this locker at a yard sale about a month ago. The seller was asking $50 bucks for it, but took my offer of just $30. She told me it came out of an airport in Florida where she and her husband worked. With the big interest in anything industrial, combined with folks looking for utilitarian stuff that can be used in a mud room or garage, I figured I'd easily sell this monster. The locker was about six feet tall and barley fit in the back of my truck bed. Because of it's size, once I got it home it had to go into the garage. But before Mrs. Dude could give me the stink eye, I quickly posted it for sale on Craigslist. It took me about three weeks to get it done, but I got it sold before any trouble broke out on the home front. A buyer showed up last Saturday and paid me $120 bucks for the old lockers. He told me it was going to a warehouse to be used by the employees. That was a $90 dollar profit for me and a nice storage locker for those warehouse employees. Can the neighbor see? No way! the transaction was avoiding being spotted by my neighbor when the deal went down. Their house is across the street and one house down. To keep it all very top secret, I instructed the buyer to back his van up to my garage doors. I also aligned my cars on the driveway to block my neighbor's view. I am pretty sure I could work for the CIA, because my plan was executed perfectly. The seller backed up right to my garage door, practically pulling inside. After paying me $35 dollars, we slipped the tent into the back of his van and away he went...all out of sight of my neighbor! Mission accomplished and more importantly, more space had been freed up in the garage. Lastly, I bought this large Kelty Kids carrier for twenty dollars on Facebook back in the summer, storing it next to the locker and tent for several weeks. When I picked it up, I found the carrier was not in the greatest condition. That's the problem with FB finds, it's hard to tell what you're buying from the few small pictures that are posted. This carrier was a little more worn then described, and had a musty, stored-in-the-basement smell to it. Not the greatest score, but at twenty bucks, I knew I'd make some decent money out of the deal. While waiting for a buyer to come along, I kept the Kelty carrier in the garage hoping the fresh air might air it out a little bit. Originally posting it for fifty dollars, I ended up selling the carrier to some young parents for $40. The mom was particularly tough and almost turned down the carrier, that was until I dropped the price ten bucks to seal the deal. Even at that price, I walked away with a twenty dollar profit. Not bad for basically storing something in my garage for less then a month. At long last, the summer yard sale drought finally appears to be over! Over the last few weekends, the sales have ticked upward. This past weekend, I checked out a huge community yard sale held at local suburban development. The development had a lot of participants, however it also drew huge crowds and traffic jams on the local streets. Although I didn't find anything good there, it was nice to be able to hit a large number of sales in one shot. After leaving that sale, I managed to find a few more yard sales and score a few goodies, including an old ten gallon gas can for two bucks. The old, grizzled fuel can could earn me as much as forty dollars on eBay. Stay tuned for that one! As summer comes to an end and fall begins, I've learned of a fashion trend that caught me completely off guard. Apparently, Converse Chuck Taylor sneakers are back in a big way! I first noticed the trend when I saw a back-to-school photo of my niece on Facebook. She was wearing good, old Chuck Taylor sneakers! 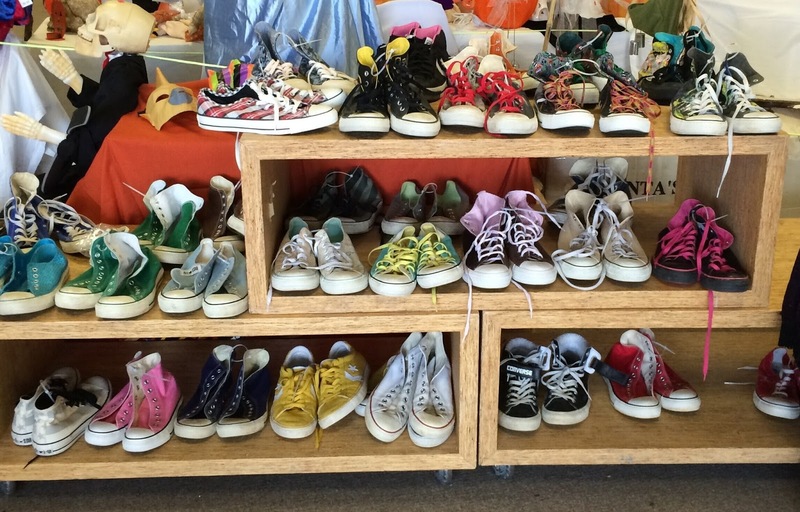 Then just a few days later, I practically tripped over a huge display of Chucks as I entered the Goodwill store. Believe you me, when it comes to fashion I am no Miranda Priestly from The Devil Wears Prada, but I know a fashion trend when it smacks me in the face. Clearly Chucks have come full circle and are back in style with the kids! Looking at recent sales, pre-owned canvas Chucks average between $15 and $35 dollars, while many new pairs are selling north of $50 dollars. Leather Chucks are in a whole other stratosphere, selling for $100 or more when brand new. I've had some good luck with Chucks in the past. If you've followed this blog from the beginning, you may remember a pair of old leather Chucks I sold for $126 bucks! Now that they're back in style, I am putting Chuck Taylor back on my BOLO list this fall. 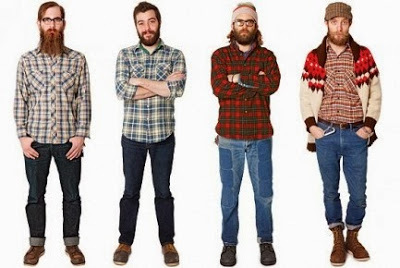 Speaking of fashion trends, your fashion forward Dude has also picked up on the "Urban Lumberjack" style popular with the younger guys. Urban lumberjacks share a similar look. Namely, close cropped hair on the side, a greasy comb over up top and a scruffy beard. The look is made complete with a mandatory flannel shirt. In an effort to make some money off this hipster fashion trend, I scored a great looking "Big Yank" flannel shirt at my local Goodwill store. With it's bright colors and old school look, this shirt really stood out. Even though it was vintage, the shirt was in near-new condition and the price was right at just five bucks! Normally the middle of a hot summer is not an ideal time of year to post a flannel shirt on eBay. But with my summer sales on life support, desperate times call for desperate measures-the flannel went to auction! 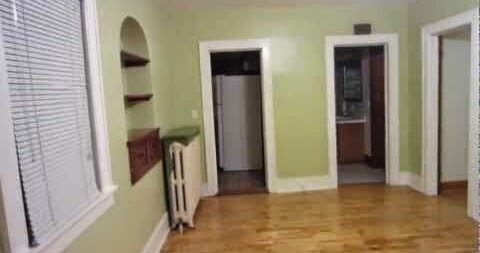 When creating the listing I used a few catchy search terms in the title to attract as many bidders as possible including; "urban lumberjack" and "hipster." It must have worked because the lumberjack wannabees came out of the "woodwork" to bid up the Big Yank flannel. The old shirt reached levels that even I didn't anticipate, closing out at a final auction price of, now get this.......$83 dollars! TIMBER!!!! Since we are on the subject of clothes, I am always on the lookout for vintage Rock and Roll concert T-shirts. Back in the day, everyone and their brother had at least one or two concert Tees in their wardrobe. Now, these same kids have grown up and will pay big bucks to get their concert T-shirts back. (Even though they probably won't fit into them anymore.) Many of these surviving shirts sell for waaaaay more then what they originally cost at the arena or stadium. Recently, a classic Iron Maiden concert T-shirt sold for nearly one thousand dollars! Can you imagine that? Back in my high school, every "stoner" in my graduating class had an Iron Maiden T-shirt! If I had a crystal ball, I would have stockpiled a bunch of those ratty old T-shirts. Who would have known they'd be a better investment then anything on Wall Street? While I haven't scored Iron Maiden yet, I did come across this Elvis Costello and the Attractions T-shirt. This shirt was a little bit worn, but still wearable and for only three bucks, I knew I'd make some money out of it. Sure enough, I posted it on eBay and this Elvis left the building for $35 big ones! That's why I always search through the T-shirts in Goodwill. Elvis, Bruce Springsteen, Led Zeppelin or Iron Maiden may be hiding in those racks! In my last blog piece, I carried on about the greatness of selling smalls. Easy to store, ship and sell, smalls have a lot to like. But on the opposite end, selling big stuff has it's own rewards too. Don't get me wrong, I'll take a "small" sale over bigs any day of the week. But lately, I've been doing pretty good with flipping big stuff too. Since most big items are too large and heavy to ship, my biggies are sold through Craigslist. An added bonus includes no annoying eBay fees, or dealing with postage that can eat into your profits. Let me share a few of my recent biggies that turned into "big" bucks. One of my cooler "big" scores happened just a few weeks ago. Mrs. Dude and I were out for dinner on a Sunday night at our favorite local watering hole. You might think we would be "normal" while at the restaurant and just dine while enjoying the glorious wall-to-wall flat screens that are everywhere. But no, not us. With Apple iPhone in hand, we periodically check in on the local Facebook yard sale group just in case something good pops up. In this case, it did. Just about the time our waitress brought out our food, an awesome looking bike was posted up for sale on our yard sale group! The bike looked like it came straight out of the Sixties. It had a classic "banana" seat, high chopper handlebars and a cool front spring suspension. The seller, a frequent lister on FB, was asking $30 for the bike. Mrs. Dude showed me the listing and asked if I was interested? Taking a swig of my beer, I did some quick calculating in my head. I came to the conclusion that at thirty bucks, I knew I could at least make my money back and then some. At that, Mrs. Dude claimed the bike with a simple "interested" in the comment section. The bike was now ours! Just that fast, while sitting in the pub section of our favorite restaurant, we scored another potentially sweet deal. You gotta love technology! After another half hour of burgers, beverages and Facebook, we headed out to pick up the bike. As luck would have it, the seller lived only a few minutes away from the restaurant. It was dusk when we arrived at the seller's home and he was waiting for me at his front door. The bike was positioned under his porch light, so I gave it a quick once over. It looked as nice as it did in the FB photos. I was definitely a buyer, but in order to do a proper write up for my Craigslist ad, I tried to get a little background information on the bike. This turned out to be Mission Impossible! I asked the seller how old the bike was? He played, dumb, claiming not to know. Striking out on my first question, I then asked where he got the bike? He cracked a lame joke, saying he found it on the street. I fake laughed, then tried to push him further, asking if the bike came from Walmart, Target or some other place? As the guy danced around the question, it was becoming obvious to me he bought the bike at a yard sale and had no information to give. Being that he was a kindred spirit, I dropped the inquisition, handed over thirty bucks and hoisted the bike into the back of Mrs. Dude's car. A few days later, I posted my "old school" chopper bike on Facebook for $75. It didn't take long before a buyer e-mailed, asking if I would take $65 dollars? That was more then double what I paid for the bike, so I had no problem letting it go! The next day, the buyer was at my door with three crisp twenties and a five dollar bill. A nice $35 dollar profit on my big score! Like the bike, another biggie flip also came courtesy of Facebook. A few months ago, I bought this very large, Little Tikes pedal car. The price was only ten dollars. These cars were made a good fifteen to twenty years ago, but were discontinued. It runs on pedal power and steers via the handles on the sides. If I were a kid, I think this car would be a blast to drive! Doing some research, I noticed that Little Tikes pedal cars don't show up on eBay very often. When they do, some sellers ask over a hundred bucks for them. However, the main problem with trying to sell these pedal cars on eBay is the high shipping costs. To find out what it might cost me to ship, I took my pedal car to the local UPS store. After throwing it on the scale and measuring for length and width, the UPS clerk estimated shipping to be around two hundred dollars! With that high price, I decided to stick with selling locally on Craigslist. It wasn't easy. The car sat for almost two months waiting for a buyer to come along. I finally unloaded the car for $35 bucks. Not gangbusters considering the time, storage space and effort I put into it, but I'll take a $25 dollar profit anytime. Moving on to my last "biggie" flip, we have this awesome looking Chevy Bel Air pedal car. This is a reproduction piece made to look like the old pedal cars from back in the day. I bought it at my favorite little thrift shop. Dana, the manager of the store, knocked a few bucks off the car at my request, bringing the price down to eighty dollars. That's still a lot of dough in my book, but I just couldn't leave this cool car behind in the thrift store. I bit the bullet knowing that even at that high price, there was still money to be made on the car. When I got the pedal car back to MoneyintheGarage headquarters, I searched for similar models on the Internet. Turns out, these cars can sell for over two hundred dollars on some websites. Ideally, this car would have been the perfect item to sell during holidays to maximize the profit, but six months is way too long to keep it around. Instead, I posted the Chevy on Craigslist for $125 in order to make a quick sale and get it out of the garage. After a few weeks on Craigslist, a nice Grandma E-mailed me. She told me she wanted the car for her grandson and offered $110 dollars. Who can you say no to a nice grandmother, right? Not me, that's for sure. I gladly accepted her offer, making a $30 profit on the car. Another successful biggie flip! Son, I am your...what? Not funny? The 2015 yard sale season has begun! With the cold weather finally receding, the past two weekends have brought a smattering of sales around town. It began Easter weekend with three sales. Although I struck out at all three sales, it was still nice to get outside and get back into the swing of things. Last Saturday was a bit more respectable with five sales. But even with more sales to check out, I only opened the wallet for one purchase. A twenty dollar bill landed me these four life-size Star Wars cardboard figures. The figures include Darth Vader, R2-D2, Chewbacca and C-3PO. I currently have them listed for sale on Craigslist for a one hundred dollar bill. Judging from what I've seen on eBay, I think they're worth the money. While I am waiting to find a buyer, I am having some fun with the Darth Vader figure. Every time my Sonny Boy walks through the garage, I dart behind Darth and announce in a deep voice, "I am your father!" (Get it? It's funny cause I really am his father and...ohhh never mind. My kid didn't think it was all that funny either!) Mrs. Dude also isn't laughing about the Star Wars figures. Not only are they parked on her side of the garage, but every time she walks into the garage, the figures scare the Bejeebers out of her! Needless to say, both Mrs. Dude and Sonny Boy will be happy when I get old Darth and the gang sold. "You sold it for how much?" out a massive Lego box. The kid tossed it down on a blanket and I nonchalantly kneeled down to take a closer look. It turned out to be a Lego Commemorative set called, "Town Plan." The set is a recreation of a Lego set produced 50 years ago, consisting of various town buildings including a gas station, city hall and movie theater. The box had been opened, but all the pieces were still sealed in the little plastic packs. Now here at MoneyintheGarage, you know we specialize in flipping Lego sets. I've made a ton of money on these flips, usually with Harry Potter and Star Wars sets. But when it came to this special commemorative edition, I really had no clue what it could be worth. While I could have tried a quick price check on eBay using my iPhone, I decided why bother? When you get right down to it, Legos are Legos. As long as the price is right, you're going to make some decent money flipping them. In this case, the price turned out to be very right. I asked the lady what she wanted for the set? She tossed it right back into my court, asking what I wanted to give her for it? Probably not the best question to ask this shark, because I proceeded to offer her five dollars for the set! Pretty crazy right? Here's what's even crazier...she accepted my offer! Realizing this garage sale appeared to have some very low prices, I eagerly began shopping for more stuff. I then found a Nintendo NES system in the original box. The family sold that to me for me another five dollar bill. I bought a few other odds and ends, including an old CB radio for three bucks. I left pretty satisfied with my scores, particularly since it turned out to be the last yard sale of the season! About a month after the sale, I sold the CB radio on eBay for twenty dollars. With that $20 dollar sale, I was now playing with the house's money. Now it was time to really make some profits and sell the Nintendo system and Lego set. The Nintendo system was first to go, selling on eBay for $90 dollars. Not bad right? But as as they say in the old TV commercials for the Ginsu knife, "But wait, there's more!" I still had the Lego commemorative set to sell. Prior to listing it, I conducted a little eBay research on the set. I learned the set had been produced for a limited time back in 2008. Looking at previous sales, I also discovered that even partial sets without the box brought in big bucks. Seeing this, I had a feeling my complete set in it's original box would be no slouch at auction. It was now time to make some dough. I posted my five dollar investment on eBay using a seven day auction format. Boom! As I hoped, the set attracted multiple crazed bidders and topped out an insane selling price of $380 dollars! Yet another example of why I love flipping Legos!!! After making me nearly $400 dollars, the commemorative Lego set has now officially become my new "go-to" story when family or friends asked how my eBay sales are going? (Replacing my Jack Nicklaus signed print story.) When people ask, I slowly lay out the story, then hit them with the $380 punchline. When I do, the person usually shouts, "$380?" in disbelief, or they spit out whatever it is they're drinking at the time! It's funny watching folks reaction to the story. Who can blame them? Turning a five dollar Lego set into almost four hundred dollars will make anyone do a double take! Lionel, Bachmann & Aristo-Craft...Let it rain model trains! Way back on a Saturday morning in early September, I woke up to a light, but steady rain. 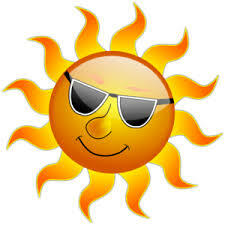 I don't need the Weather Channel or Internet to get a weather report. I go old school, using my open bedroom window to tell me what I need to know when I wake up. 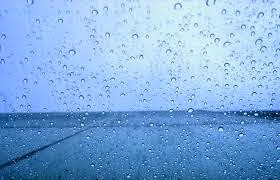 On this particular morning, I could hear the drip-drip-drip from a gutter downspout outside the window. This meant steady rain outside. Groaning for a moment, I wrestled with the tempting idea of skipping the yard sales and going back to sleep. After all, most folks cancel their sales when it rains anyway, right? I tossed and turned, deciding what to do. Heading out could be a total waste of time or maybe, just maybe, there was a great deal waiting to be discovered. As it always does, the notion of finding a great deal won out. I dragged myself out of bed and headed out on a crummy, rainy day that would have kept most folks at home. Driving down the wet roads, it was obvious the steady rain had scared off the fair-weather yard sale shoppers. It also scared off most of the sellers too! Pulling up to house after house, I was finding the same thing-canceled sales. While a few sellers were considerate enough to post a sign outside announcing their cancellation, most would-be sellers just kept their garage door closed tight. It was as if the yard sale ad they posted on Craigslist meant nothing....the nerve of some folks! The cancellations continued and things were looking bleak, as I drove down the last remaining sale on my map. Dang the luck, they were closed too! But just down the street I spotted a ray of hope. There, in the pouring rain, was a small, soggy cardboard yard sale sign taped to a streetlight pole. It was pointing down a cul-de-sac. The sign read, "Yard Sale-Rain or Shine." Hallelujah...a seller who was bravely holding a yard sale despite the rain! I had a good feeling about this yard sale. For one, it hadn't been posted in Craigslist. This meant few, if any, buyers would find it. Secondly, I knew exactly who the seller was since I'd been to his house before. He was a bit of an eccentric with some interesting stuff for sale his last go-round. But at this point in the morning, I didn't care what he had to sell-any sale was better then nothing! So I headed down the cul-de-sac hoping to salvage this washout of a day. And boy...did I ever! Walking up his driveway, the seller greeted me as he moved stuff around in his crowded garage. He was an older gentleman; a tall and lanky guy who liked to talk...a lot! Normally, gabby sellers tend to slow me down, so I try not to encourage any unnecessary chit-chat. However, since I knew there were no other yard sales to be had, I warmed up a little and chatted to the guy as I looked through his stuff. As in his previous yard sale, the guy had a ton old record albums. Nothing I was really interested in, but that didn't slow my buddy down. He wanted to share his opinions on several of the albums in depth with me. I humored him, but kept looking as he talked. I noticed a bulky stack of boxes in the center of his garage. It was a cloudy day, and combined with the lack of good lighting in his garage, I struggled to make out what was inside the boxes. Leaning into the pile to get a closer look, I realized I had a possible major discovery on my hands. The boxes contained a huge collection of old trains! Not just any trains either, most were "G" scale, which are humongous trains, each measuring 20 inches or more in length. My adrenaline started pumping! Keeping my poker face on, I asked the seller what the story was on all the trains? He explained that his brother recently passed away and he inherited his huge collection of model trains. He then said those magic words a yard sale picker loves to hear, "I just want to get rid of them." Ding-Ding-Ding! This was not a drill! In fact, it was a dream scenario. I found myself at a yard sale with absolutely no other buyers to compete against, coupled with an awesome train collection the seller wanted to get rid of. All the planets were in alignment! I knew there was only one thing to do. I had to take a stab at buying the entire collection from the guy! I could tell from his demeanor that my new buddy had no emotional attachment to the trains. To him, they were just taking up much needed space in his garage. I asked him what he wanted for the trains? As he poked around the boxes, he responded saying he hadn't really thought about a price. Throwing it right back at me, he asked what I wanted to pay? I countered, telling him I hadn't anticipated buying a huge lot of trains today and that I only had $130 on me. (All true.) I then asked him if $130 would buy the trains? He thought about it for moment, then shook his head yes and said, "Let me help you load them." Emptying my pockets, I handed my new buddy the entire wad of cash I'd taken with me that morning. I then wasted no time stuffing all the boxes and loose trains into Mrs. Dude's car! 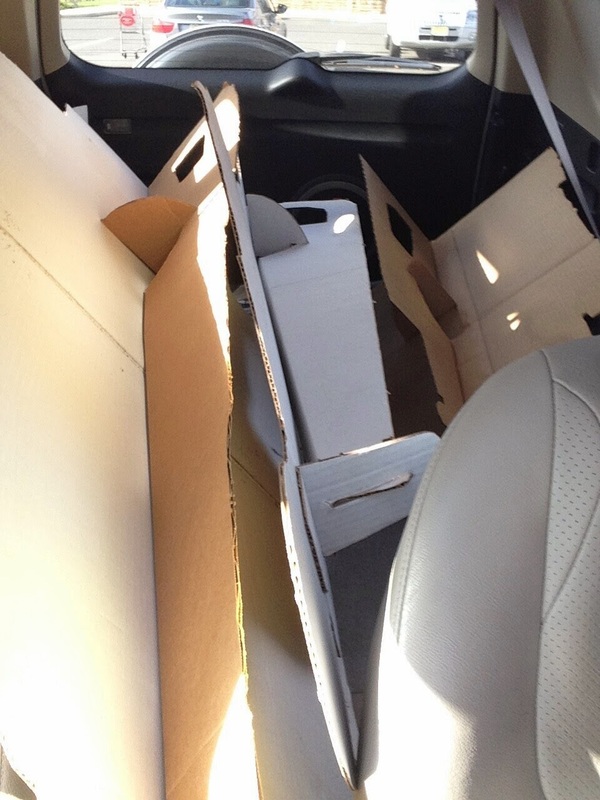 As I hustled the boxes from garage to car, I worried the guy might change his mind for some reason. But not only did he not change his mind, he scoured the garage to make sure I didn't miss any of the boxes. 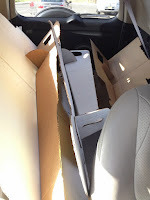 There were so many boxes and trains that when it was finally all packed up, the only open space in the car was the driver's seat. I pulled up to my house praying Mrs. Dude wouldn't look out the window. She's very protective of her Rav-4 and would not have been happy at seeing her "baby" packed to the roof with old, dusty boxes and trains. Luckily, I quickly unloaded the train collection into the garage before she noticed. While domestic tranquility was preserved, I still had a lot of work to do. There were plenty of photos to be taken and listings to be posted. I decided to start with something I knew would quickly help me recover my initial investment-a vintage Lionel train bank building. Collectors go wild for these classic vintage tin metal buildings. Most collectors consider them a must-have when assembling a classic model train platform. Posting the bank building on eBay started my train sales off with a bang. The Lionel bank building sold for $100 dollars! With that very first sale, I'd instantly recovered a huge chunk of my $130 investment! I then posted a newer train set that my eBay research showed would also sell for big bucks. It was a small scale version of the Amtraks's Acela passenger train by Bachmann. This auction exceeded my expectations, resulting in a sale price of $182 dollars. With only two sales, I was now $152 in the black on my investment. Using both Craigslist and eBay, I slowly sold off all the train pieces including; locomotive engines, passenger cars, box cars and tracks. Because of the popularity in model train collecting, I had no problem selling most of my pieces for top dollar. It really doesn't matter what brand; Lionel, Bachmann, MTH, American Flyer or Aristo-Craft...model train collectors are extremely passionate about their hobby. Just the other day, I met a model train collector at the local Dunkin Donuts for a sale. He drove 90 minutes, meeting me on a freezing cold winter morning and bought the last train set from the original lot. It was an O scale set made by Aristo-Craft. He must of really liked it. He paid $225 dollars for the set! So don't let a little rain stop you from making a huge score. If it's raining, get your umbrella and head out there. You never know what you're going to find!